To energise India and IndianOil, we are looking for passionate and dedicated professionals in the field of Marketing Management for recruitment as Officers. Eligibility: Two-year full-time Post-Graduate Diploma/Masters Degree in Business Management with specialisation in Marketing Management or an equivalent qualification from a recognised Indian University/Institute, with minimum 60% marks or equivalent CGPA (relaxed to 55% for candidates belonging to SC/ST and PwD categories). Shortlisting of candidates for further selection process comprising GD/GT and Personal Interview will be based on scores obtained in the UGC-NET examination (Subject: Management, Subject Code: 17) of November 2017 (Score from UGC-NET examination of January, 2017 or any previous examination is not valid). For detailed information on UGC-NET, interested candidates may log on to http://cbsenet.nic.in. 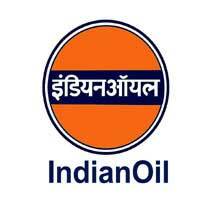 Candidates may log on to IndianOil's corporate website www.iocl.com for details of prescribed educational qualifications, age, eligibility criteria, application procedure, etc.